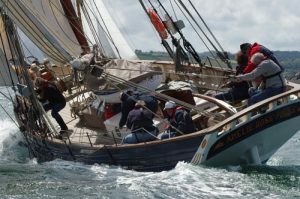 We’ve been teaching the RYA Day Skipper and Competent Crew courses for 5 years on Amelie Rose, and it’s lovely to bump into ex-trainees when we’re out and about – sometimes to discover that they’re now skippering their own boats. 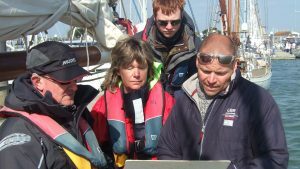 They’re often keen to get back aboard and ask whether we’re planning to offer more RYA courses. 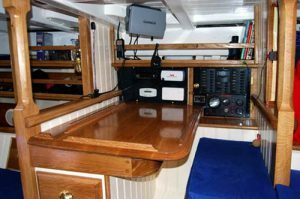 Well now we are, starting with RYA Coastal Skipper. So what is it and why do it on Amelie Rose? 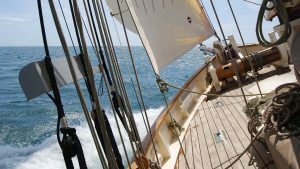 There’re a lot of RYA sea-schools out there selling Competent Crew courses. Some of them offer you a free sun-tan whilst you’re doing it, some will rave about their ultra-modern luxury push-button yachts but we think they’re all barking up the wrong tree. 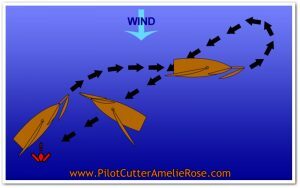 Comp Crew is about gaining the confidence and skills to be safe and useful aboard a sailing boat and we think it’s easier to do this on a traditional boat like Amelie Rose.